Perimum Diary 2019 inludes of all dates of 2019. 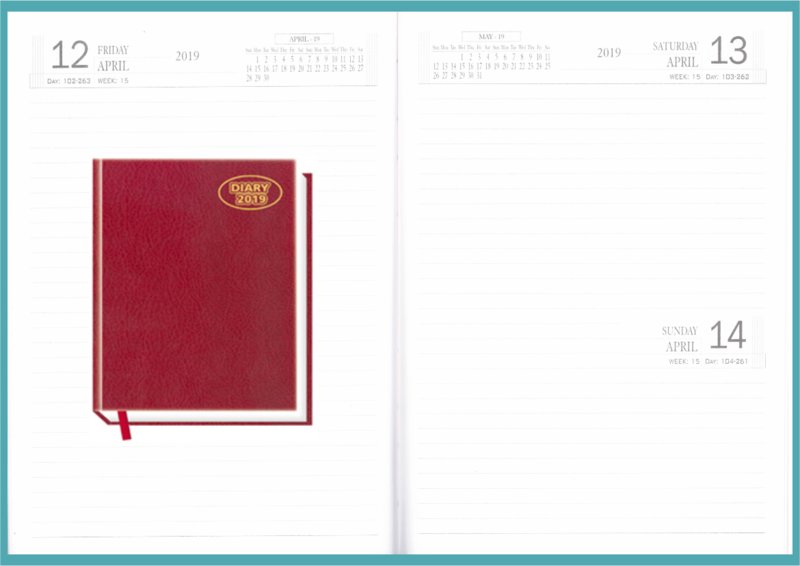 Year Planner 2019 in two page. 3 Year Plan includeed in single page. Party Advertisement is printed in multi colour on single sheet and included in first page. Party Advertisement is printed in Multi colour. Free multi colour wrapper printing for 1000+ quantity. Why go for a common wrapper when you affordable with your company name & logo. Customer can add product pages inside the dairies. this option is only available on 1000+ quantity. Call us for custom dairy printing. Price including of multi colour Customer's article printing. For Shipping Outside India: Now we ship outside India please read our shipping info.